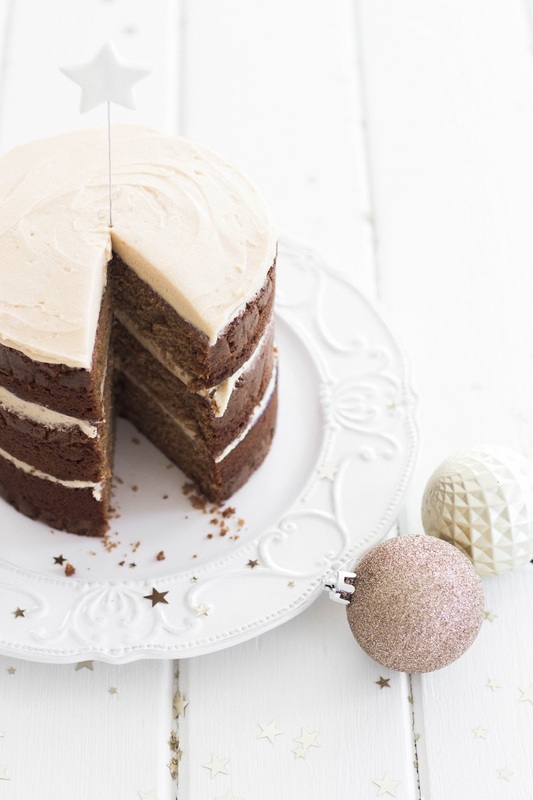 Delicious and decadent and filled with fluffy salted caramel frosting, there's no cake more perfect for this season. I kept the cake rather small in size and opted to do a few layers to add height. Don't let the pretty photos fool you I had a few failed attempts before I got this cake right, I finally settled on another one of Tess Huff's recipes her cakes always seem to be full proof. Of course like usual I did alter it a little and make it my own. 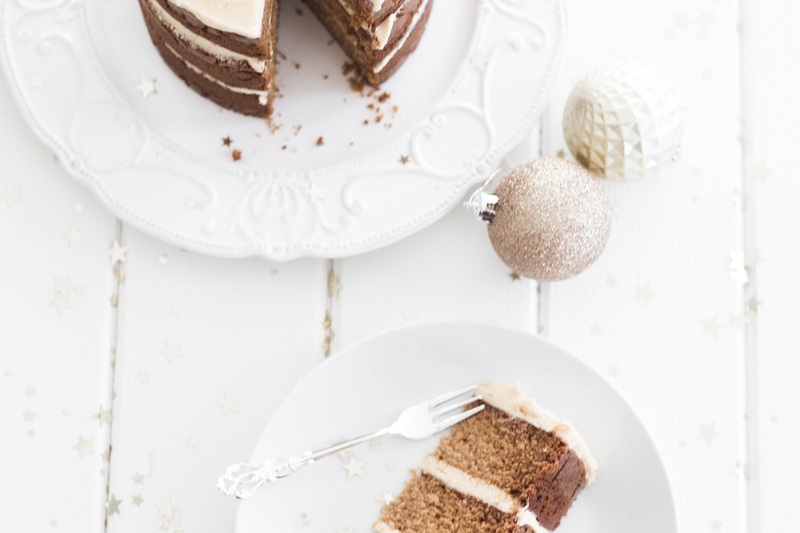 But I always find myself gravitating towards her cake recipes as they just seem to always work so well for me. To view her original recipe click here. 2. Sift together flour, ginger, cinnamon, mixed spice, salt, baking powder and baking soda. Set aside. 3. Place butter in an electric mixer and beat on medium-high for 3 minutes. Add in the brown sugar and mix on medium speed. 4. on medium-low add in the eggs one at a time then add in the golden syrup. Mix until well incorporated. 5. Stop the mixer and scrape down the sides and bottom of the bowl. 6. Alternating between dry and wet , add the flour mixture and milk in 3 additions on low speed. 7. Once mixed divide the batter evenly between 3 tins. 8. Bake for 22-25 minutes. Or until done. 9. Cool on wire rack completely before assembling the cake. 1. Sift icing sugar and set aside. Beat the butter in electric mixer on medium speed until its light in colour and fluffy. 2. Add the icing sugar, salt and cream to the butter mixture. beat until well incorporated. 3. Scrape down sides of the bowl and add the salted caramel on low speed. Mix until frosting is creamy. If it's too thick add the milk in now. 1. 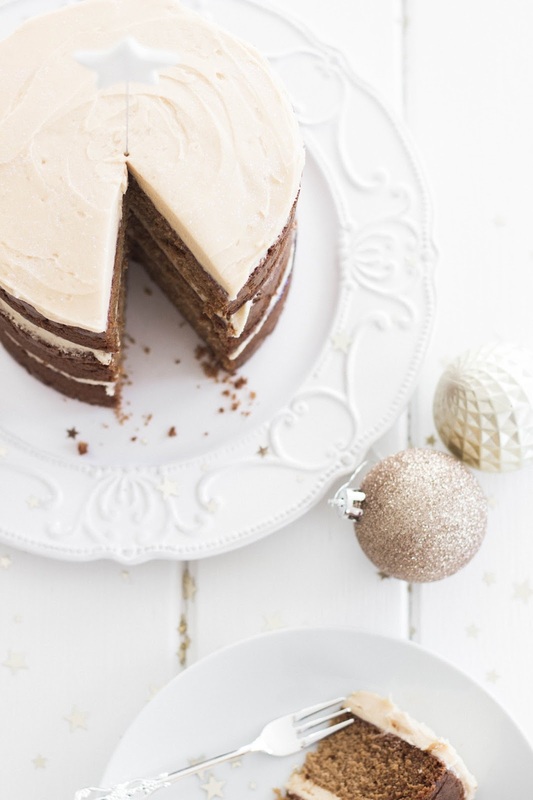 Place first layer of gingerbread cake on your favourite cake stand or plate. 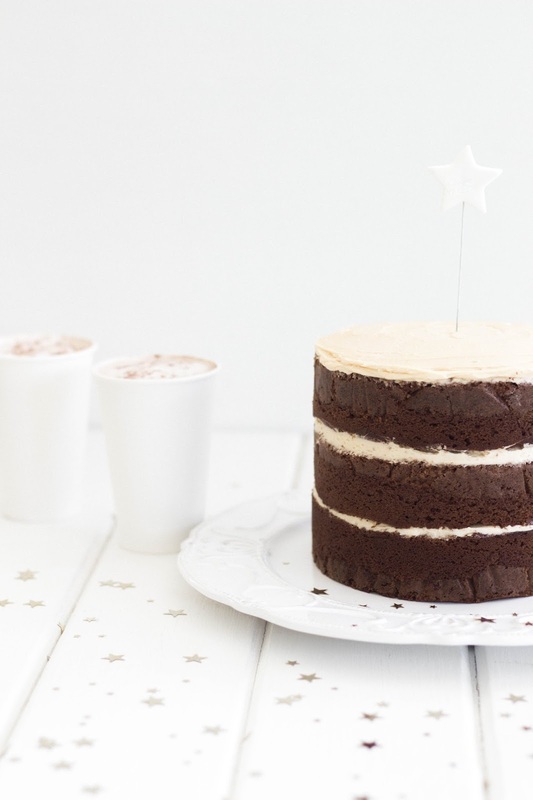 Spread some frosting over the layer and then add the second layer of cake. 2. Continue the process until you have all 3 layers done. Place the cake in the fridge for 20 minutes. 3. Spread the remaining buttercream over the top of the cake. 4. 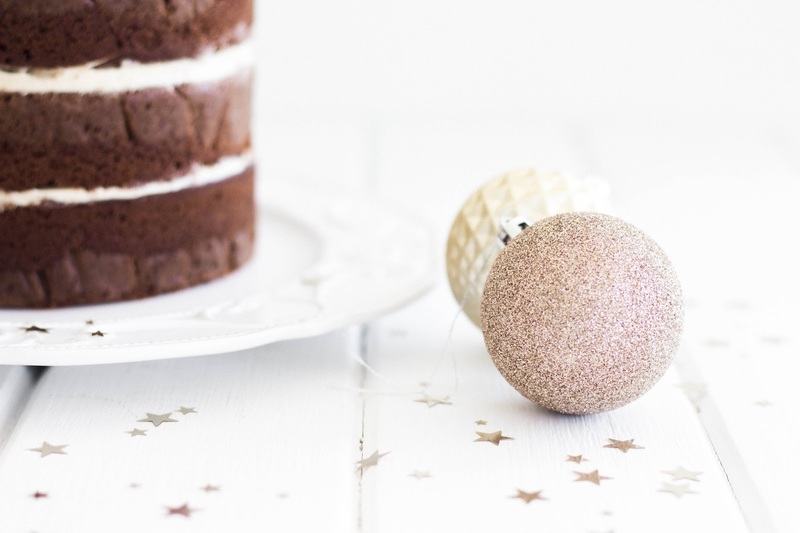 Decorate with cake topper and sprinkle the plate with gold Christmas table confetti.